We’ll be doing profiles on each of the free agents in the upcoming days and give you our take on whether they return or move on. 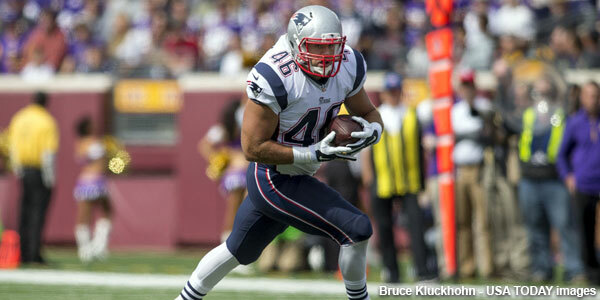 One of the players facing free agency is fullback James Develin. The Patriots running game struggled in 2015 and much of that had to do with Develin missing the entire season after breaking his leg while catching a pass from Jimmy Garoppolo in Carolina during the preseason. That year they ran the ball the 7th fewest in the league and ranked 30th in both rushing yardage and yards per attempt. But with Develin back in the fold in 2016 the Patriots rushing game was much more effective. They were 7th in rushing yardage and their 482 rushing attempts were the third most in the league. While much of the credit belongs to improved play with the offensive line, Develin’s presence had much to do with their success as well. Develin took a different path to the NFL. He played defensive end at Brown, not playing fullback until 2010 while playing for the Florida Tuskers of the United Football League. He was signed by the Bengals and spent two seasons as a member of their practice squad. He was released near the end of the 2012 training camp and was quickly signed by the Patriots and has been a fixture ever since. He is a versatile piece for the Patriots as fullbacks must be in the NFL. He is a very good lead blocker in the running game, can carry the ball the odd time here and there, is very good in pass protection, and can line up as an H-back or as a tight end. He’s also a valued member of the special teams. Why Develin Will Return: The Patriots under Bill Belichick have always liked to have a fullback in the offense, especially one that can do as much as Develin can. He won’t be looking for or command a huge salary to remain in New England. There shouldn’t be a tremendous market for him in free agency with many teams beating down his door. He’s a trusted, valued member of the offense; as a lead blocker, the occasional short yardage run or catch as an H-back or split out as a tight end, Develin is an unheralded but important piece of the offense. Why Develin Won’t Return: There is always a chance that the team will decide to move on and look to get younger. They’ve already signed insurance with Glenn Gronkowski being signed to a future’s contract. And of course, another team can always swoop in and offer Develin more money than the Patriots will opt to spend on his value. As much as they value him, with baby Gronk and possibly another camp body added later this spring, there will undoubtedly be some competition there. Bottom Line: The Patriots know what they have in Develin. Bill Belichick has heaped great praise on him in the past. “He’s a very smart player, he has good instincts and in the running game when you’re the second-level blocker that he is as a fullback you have a lot of things you have to sort out,” Belichick said. “Even though you have a blocking assignment there are things that happen in front of you whereas if you’re an offensive lineman you’re blocking the guy in front of you where there’s nothing between you and him most of the time. “When you’re a fullback there are a lot of things that can happen as you go to your assignment. There could be other things that maybe guys move, they twist, they change positions, there’s penetration and you have to make those decisions so a lot of that is decision making. Similar to a running back when he has the ball but in the fullback’s case he really is the running back or the eyes of the running back in terms of taking the right course to the entry point in the play and so forth. I think the Patriots get a deal done with Develin before free agency starts. It shouldn’t be an exceptionally tough one to do. However, even if he gets to free agency, the feeling here is there is 75 percent chance Develin returns in a Patriots uniform in 2017. This entry was posted in 2017 Free Agency, Patriots Commentary and tagged 2016 NFL Season, 2016 Patriots season, 2017 free agency, 2017 Patriots free agents, Bill Belichick, Dion Lewis, James Develin, New England Patriots, NFL, Patriots, Patriots free agents, Patriots running backs, Tom Brady on February 27, 2017 by Steve Balestrieri. We’ll be doing profiles on each of the free agents in the upcoming days and give you our take on whether they return or move on. One of the starters and a very important piece is cornerback Logan Ryan. The Patriots picked up Ryan with the 83rd pick in the 3rd Round of the 2013 NFL Draft. The Rutgers alum stepped in and played well as a rookie appearing in all 16 games and logging seven starts. With the additions of Darrelle Revis and Brandon Browner in 2014, his playing time and confidence was curtailed somewhat. With the previous two’s departure after Super Bowl XLIX, Ryan again was elevated to a starting role and played well in 2015. He’s had bouts of inconsistency, and the beginning of 2016 was no exception. He was surpassed early in the campaign by Eric Rowe before really turning around his play down the stretch and into the playoffs. He played the best football of his career in the second half of 2016 and at 26, there’s no reason to think he couldn’t get even better. Ryan is a sure tackler and is outstanding in run support. He’s 5’11, 195-pounds and is often tasked with covering an opponent’s top WR with over the top safety help. He specializes in man coverage and plays WRs tight to the line and is a physical, sticky corner when he is on top of his game. 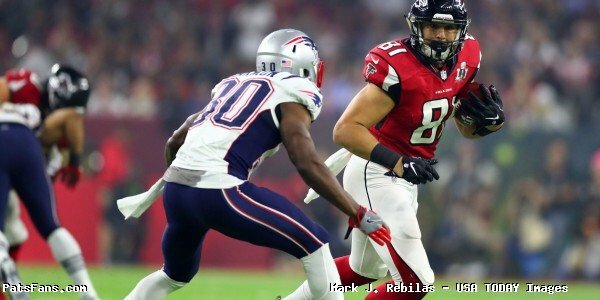 Why Ryan Will Return: The Patriots have a ton of cap space and could easily pay Ryan the cash that would be needed to keep him in a Patriots uniform. He’s durable and has been active for every game in his four-year career since entering the NFL. Bill Belichick loves versatile, durable players and Ryan fits the bill on both. He can play outside, locked up on an opponent’s top WR or slide inside in the slot. He’s not the biggest guy but isn’t afraid to stick his nose into the mix in the running game. He’s among the surest tacklers on the team and rarely does a receiver or a runner gets many yards after contact with Ryan. He’s a trusted, veteran member of the defense who knows the calls down pat and is never out of position. He’s a very good playmaker with the ball in the air with six interceptions and 25 passes defensed in the last two seasons, along with a forced fumble and 131 tackles. Why Ryan Won’t Return: There are always teams looking for trusted, veteran corner that can play man coverage and always be in position. And his versatility with the ability to play inside or outside is a bonus. With many teams needing such a player, they’ll likely throw much more money than the Patriots can afford. 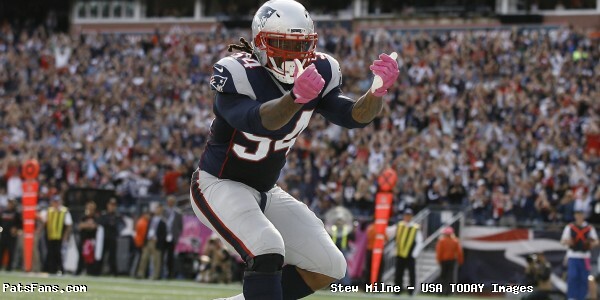 While the Pats do have plenty of cap space, with Malcolm Butler and Dont’a Hightower already needing new deals and with others on the defense also up for renegotiation, Butler may be the odd man out. Bottom Line: It will be interesting to see how much money other teams will throw at Ryan who is a #2 corner. One possible destination will be Jacksonville. The Jaguars desperately need cornerback help and Butler’s versatility and ability would be great fits. Although the Patriots would love to see Ryan back, he’s probably going to get paid and paid well. He’s young enough to be a very solid contributor for the next several years and a durable, tough corner is always in demand. I see another team giving Ryan a nice big contract and the Patriots waving goodbye. The chances of Ryan returning are probably less than 30 percent. He’s earned his payday and will take advantage. This entry was posted in 2017 Free Agency, Patriots Commentary and tagged 2016 NFL Season, 2016 Patriots season, 2017 free agency, Bill Belichick, Eric Rowe, Logan Ryan, Malcolm Butler, New England Patriots, NFL, Patriots, Patriots cornerbacks, Patriots free agents on February 18, 2017 by Steve Balestrieri. We’ll be doing profiles on each of the free agents in the upcoming days and give you our take on whether they return or move on. 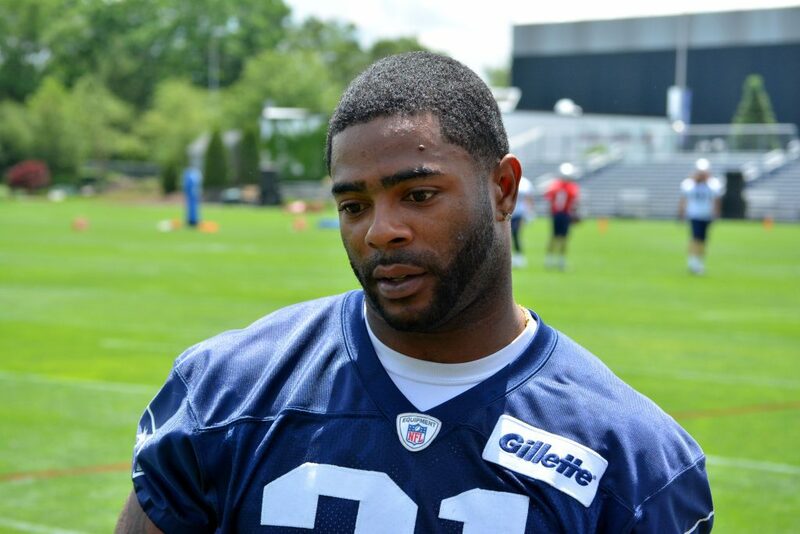 One of the starters and in our opinion the 2nd most imperative to re-sign is cornerback Malcolm Butler. The Patriots and Butler will forever be linked by the one play in Super Bowl XLIX where he intercepted Russell Wilson at the goal line and sealed the win for the Patriots. He was an UDFA out of West Alabama but we saw all that summer in training camp that he was a tenacious, physical defender who made plays every time he got on the field. That earned him a roster spot but the rookie corner didn’t see the field much because the Pats in 2014 had Darrelle Revis and Brandon Browner. But he earned the coaches’ trust and when the Super Bowl was on the line, they didn’t hesitate to put him in there, having practiced the specific play the Seahawks would run. We know the rest. Determined not to be known as a one-play wonder, Butler became a starter in 2015 with Revis and Browner now having moved on. He became the starter at left corner and turned in a very solid 2015. 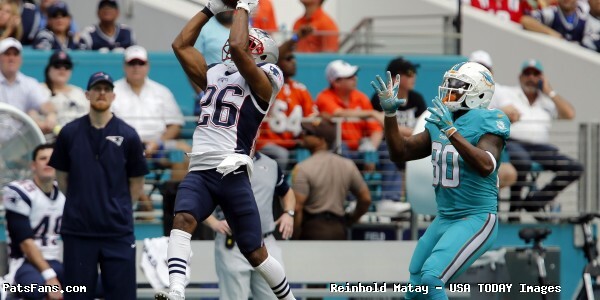 This season, he was easily the Patriots best and most-trusted corner and earned Pro Bowl and 2nd Team All-Pro honors. Frequently matched up with an opponent’s best wide receiver, Butler proved that he was no flash in the pan and has turned into an excellent cornerback. Not the biggest guy at 5’11, 190-pounds, he more than makes up for it with a physical, aggressive style where he broke up 13 passes between the regular and postseason. He allowed fewer than 20 yards receiving in seven of the Patriots 19 games this season. Now it is no longer a question of if he’ll get paid, but how much? Butler is a restricted free agent in 2017 and is in line to get a nice payday. 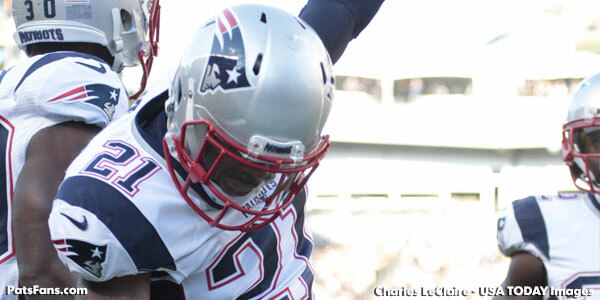 Why Butler Will Return: The Patriots will most likely put a 1st round tender on Butler, being a restricted free agent. What does that mean? If a team signs Butler to an offer sheet, the Patriots would have the option of either matching the offer or receiving that team’s first round draft choice. The first-round tender will guarantee a salary this season of about $4 million and give the Patriots the opportunity to sign the 26-year old to a long-term deal. 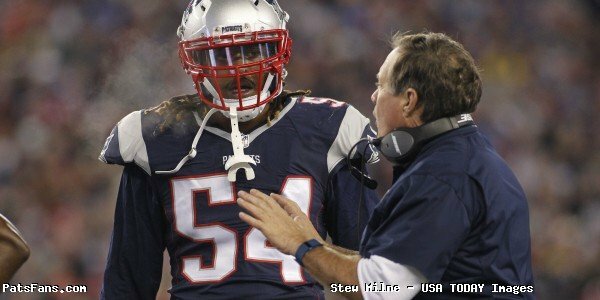 PatsFans.com salary cap guru Miguel Benzan (@Patscap), worked out a likely scenario where the Patriots can lock up Butler for the next five years for about $52,500,000. That would place him among the top 8-9 highest paid cornerbacks in the league. Butler has been a bargain for the Patriots thus far in his career, earning around $2 million in his first three years. His salary will double that in 2017 alone and then he’ll be ready to truly cash in 2018. With a first-round tender, will another team sign him to an offer sheet? While conventional wisdom says no…it will bear watching. Unlike their unrestricted free agents, the Patriots have the advantage here of getting either a first round pick or being able to match any offer. With unrestricted free agent cornerback Logan Ryan expected to draw big interest and probably signing elsewhere, it will be imperative for the Patriots to keep Butler in the fold. Why Butler Won’t Return: Butler is a proven, battle-tested cornerback playing one of the toughest positions in a league where the passing game is the king. A two-time Super Bowl winner, he’s proven that he’s got what it takes when the game is on the line. The Patriots tried to lock him up with an extension during the 2016 season it has been reported. But according to those same reports, he turned them down. While unlikely, it is possible that there will be a team that wants him bad enough to sign him to an offer big enough for the Patriots to wash their hands and wish him well. We’ve seen teams do some crazy things in free agency, so this wouldn’t exactly be uncharted waters. The caveat is that whatever team signs him would have to pony up their first-round draft pick in return. Bottom Line: The Patriots know what they have in Butler. He’s been in their system for three years and has the coaches’ trust. While he can be beaten on occasion, he’s shown that he has a short memory and will keep that aggressive, tenacious style on every play. He never takes a play off, is very good in run support and at the age of 26 is in the prime of his NFL career. He’s been durable and hasn’t missed any practice or game time, something that is important to every team. With the Patriots having the advantage of Butler being a restricted free agent, they have the advantage of either matching or taking a draft pick. In this case, a first round tender is what we expect the Patriots to place on him. With that in mind, the chances of Butler returning increase significantly. However, it would be in both the team’s and Butler’s best interest to work out a long-term deal sooner rather than later. The only sticking point should be the guaranteed money. That is something that can be worked out and the above-mentioned scenario by @Patscap has the particulars down well in a deal that may work for both parties. Butler, because he is a restricted free agent should return for at least the 2017 season. 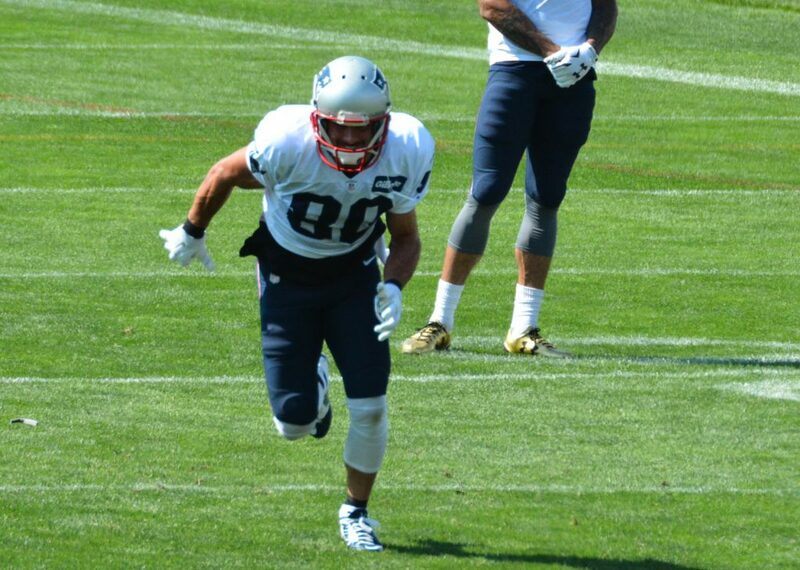 The chances of seeing him in uniform when training camp begins are better than 75 percent in our opinion. This entry was posted in 2017 Free Agency, Patriots Commentary and tagged 2016 NFL Season, 2016 Patriots season, 2017 free agency, 2017 Super Bowl, Bill Belichick, Logan Ryan, Malcolm Butler, New England Patriots, NFL, Patriots, Patriots cornerbacks, Patriots free agents, Patriots salary cap on February 15, 2017 by Steve Balestrieri. The Patriots will enter the beginning of the 2017 league season with several important decisions to make in regards to free agency. While the team has the third most salary cap room in the NFL this season, they have a slew of free agents including several who are either starters or important role players. We’ll be doing profiles on each of the free agents in the upcoming days and give you our take on whether they return or move on. 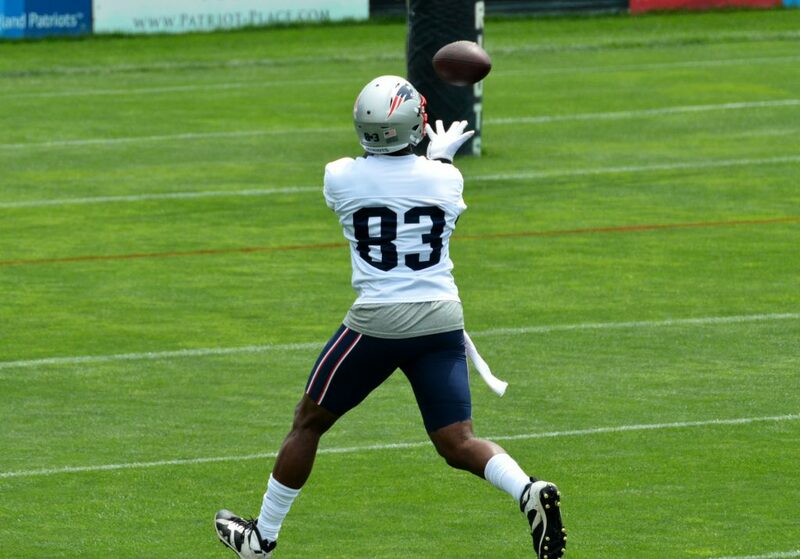 One of the starters is tight end, Martellus Bennett. The Patriots swung a deal for the disgruntled tight end with the Bears and were hoping that pairing him with Rob Gronkowski would give them a two-tight end offense that would be impossible to stop. But it didn’t work out that way. Gronkowski was injured early in the season and wasn’t healthy until Tom Brady’s first game back from suspension. 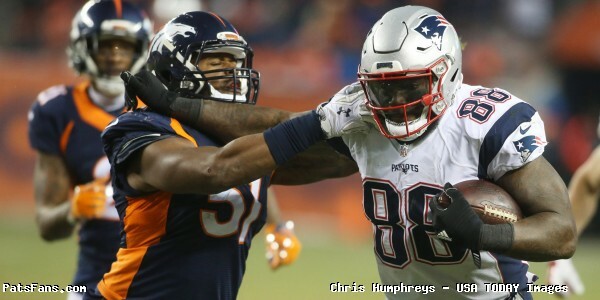 In Week 5, Gronk broke out with 5 receptions for 109 yards and Bennett scored three touchdowns. But Bennett was hurt in that game and the ankle injury limited him all season long although he played through it and a knee issue. Gronkowski would be injured again later against Seattle and then injured his back which landed him on IR. So, while the dreams of Gronk and Bennett as a dynamic duo were never truly realized, Bennett provided excellent insurance with Gronk out of the lineup. The 6’6. 270-pound tight end isn’t the deep threat that Gronkowski is but despite being far from healthy himself gave Tom Brady a viable target at tight end as well as a tremendous blocking presence in the running game. Bennett caught 55 passes for 701 yards and 7 touchdowns. He completely bought into the team-first concept and he seemed to be a popular teammate in the locker room. He’s also a very straight shooter and was one of the most quotable players on the team. He was a joy for the beat writers who are well accustomed to the players who tote the party line and give very little many times. With Gronkowski on the mend, the team should they re-sign Bennett can still have that dynamic two-tight end offense they envisioned last summer. Or, once again with the myriad of injuries that Gronk has suffered, he’d give them an outstanding insurance policy. One thing for sure is, he’ll have plenty of suitors once free agency begins. 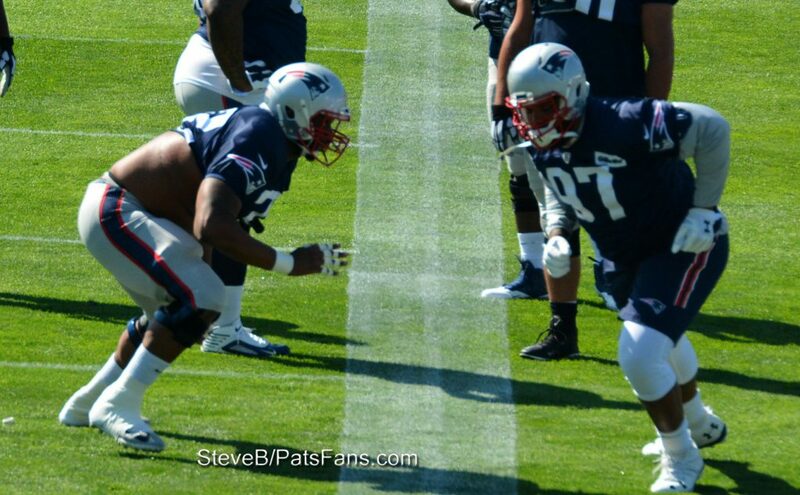 Why Bennett Will Return: Bennett seemed to genuinely enjoy his time here in New England. He and Brady worked hard during the spring and summer to build up their chemistry and Bennett was quickly elevated into Brady’s ever-so-important circle of trust. He has the skill set to be even more prolific in the Patriots offense and once fully healthy could be a more dynamic presence in the passing game. His blocking prowess, something Bennett prides himself on, was a big reason why the Patriots running game was much improved in 2016. And the Patriots have the salary cap room, with $61,498,583 in space under the cap, they have the flexibility to work out a deal that would not only pay Bennett what he feels he’s worth but give him an opportunity to win another Super Bowl ring. Why Bennett Won’t Return: Money. Bennett said it himself, Super Bowl winners tend to get overpaid. “I’m going into free agency as a Super Bowl champion. You know they overpay Super Bowl champions,” Bennett said to the NFL Network. Bennett will turn 30-years old this offseason, and this should be his last chance at a big payday which someone is going to pay him more than New England. 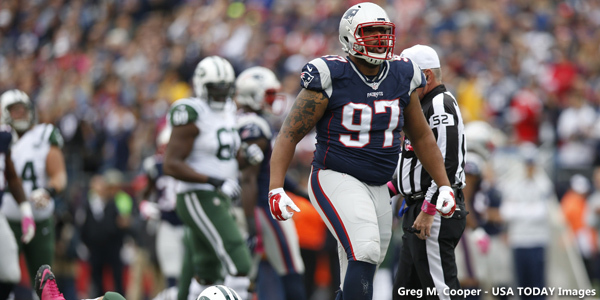 He reportedly turned down an extension from the Patriots during the season for $7 million. His comments right after the Super Bowl victory seemed like someone who is already resigned to leaving. Which probably means that Bennett is intent on testing the waters of free agency to see what his worth on the open market is. Bottom Line: It is probably just a one and done for Bennett in New England. The Patriots rarely pay players past their 30th birthdays’ top dollar and there will be teams lining up to meet his demands. Among them Jacksonville, the Giants and possibly Oakland. I doubt the Patriots will pay him more than Gronkowski who is slated to earn $9 million this season. While we’d love to see him back with the Patriots in 2017, the chances of that happening are rather slim. 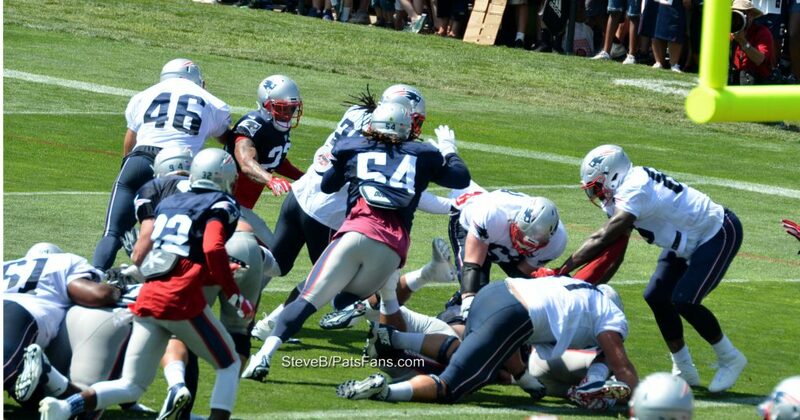 They won’t use the franchise tag on Bennett, probably saving that for Dont’a Hightower. Never say never, but there should be plenty of interest in a big, athletic tight end who can catch the ball and block in the running game. The Patriots rarely if ever overpay for a player so the chances of him returning are probably less than 25 percent. This entry was posted in 2017 Free Agency, Patriots Commentary and tagged 2016 NFL Season, 2016 Patriots season, 2017 NFL Free Agency, Bill Belichick, Martellus Bennett, New England Patriots, NFL, Patriots, Patriots free agents, Patriots tight ends, Rob Gronkowski, Tom Brady on February 13, 2017 by Steve Balestrieri.